The McKnight Foundation, a Minnesota-based family foundation, seeks to improve the quality of life for present and future generations. 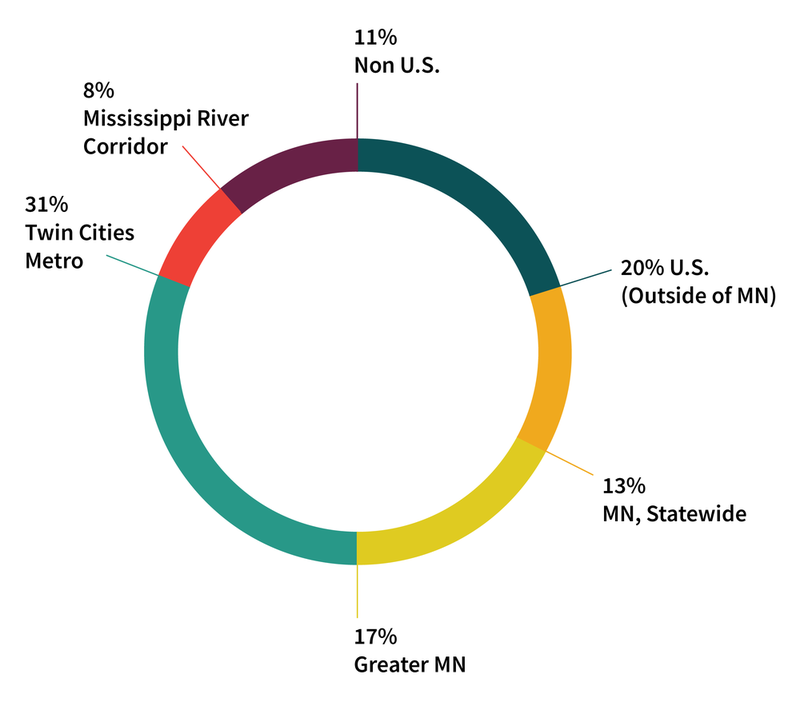 Program interests include regional economic and community development, Minnesota’s arts and artists, education equity, youth engagement, Midwest climate and energy, Mississippi River water quality, neuroscience research, international crop research, and rural livelihoods. Founded in 1953 and independently endowed by William and Maude McKnight, the Foundation had assets of approximately $2.2 billion and granted about $87 million in 2016. This annual report was made in creative partnership with Pollen Midwest.